Pressure Cleaner Accessories - Anthony Pool Service - Cleaning Pool Service Pool Service, Pool Cleaning, Pool Maintenance, Pool Shop. Aqua-Quip Timer Control Centres are designed to give you complete automatic control of your booster-driven pool cleaning system. 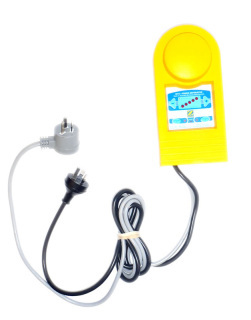 Delay timer provides power to booster pump 15 minutes after pool pump is activated. 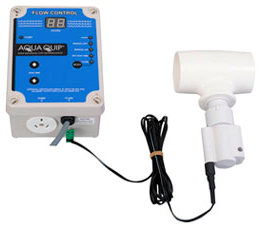 Aqua-Quip Flow Control Timer eliminates the possibility of the booster pump running dry of water as a result of incorrect synchronisation with the pool pump. Reduces wear and tear on the pool cleaner and saves expensive pump repairs. Supplied complete with integrated flow switch, the Aqua-Quip Timer Control Centre is designed to give you complete automatic control of your booster-driven pool cleaning system. The in-built delay timer provides power to the booster pump for a user-specified amount of time, 30 seconds after constant water flow is detected in the pipework. When water flow stops or is significantly reduced, the integrated flow switch shuts down the booster pump and will only re-start when water flow resumes.